Inconvenience is exactly what dental emergencies typically are. It’s usually the weekend or after hours during the weekday when you find yourself struck with an emergency. When they strike, you are faced by the decision on where to go for treatment, and often times not too many people are aware that there is emergency dental treatment options available for them in Pasadena, Texas. However, the good news is, that there is quite the variety of treatment services available to you in your time of need. We provide you with a detailed listing of available emergency dentists, dental clinics, and walk in dental services in Pasadena. When an emergency happens, you can now be prepared with where to find the appropriate treatment in a quick manner by using our emergency dentist referral service. Don’t let yourself be inconvenienced any more than you have to from a dental emergency. 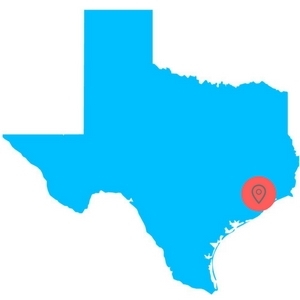 Instead, be prepared by taking advantage of the easy to navigate listings of all Pasadena, Texas emergency dental services. Walk-in dental clinics allow you to be seen on site without a scheduled appointment. This type of flexibility is great especially when you experience an emergency and don’t have time to wait for a scheduled appointment. Emergency dental clinics offer office hours later than your traditional dentist office, allowing you to get in even when other dentists may be closed. Some emergency clinics even offer weekend hours for those who work during the week. For those with emergencies, later hours and even weekend scheduling gives you the flexibility you need. When you experience a dental emergency past your typical dentist’s business hours, knowing that there are well-qualified dentists out there to help provide you with efficient treatment in an emergency situation can be quite refreshing. No one has time in an emergency to search for a dentist that provides emergency treatment services. Instead, you can easily locate a qualified Pasadena emergency dentist using our detailed referral service. Description Call to be connected with the perfect dentist for you. Pasadena is a large city and we have the connections to find a dentist to fit your needs, and can get you an appointment immediately. The dentist at this facility, Dr. Garza, offers convenient appointments in the form of after hours dental care in Pasadena, TX area. If you must see a walk in dentist in Pasadena, TX then this clinic is willing to see you after work or school or whenever and however it can be arranged. Dr. Garza graduated from University of Texas in 1989 and obtained his DDS degree at their dental school. He is very focused on staying abreast of the latest technological advances in the field of dentistry and has received his certification in laser teeth whitening, nitrous oxide sedation, and CPR. With a trusted tradition of safety first and comfort for the patient, this clinic is worthy of further review if you are dealing with a urgent dental crisis. With 7 locations in this metro area, Summit Dental Center is actually a standout choice for emergency dental patients, as they now have hours that have them open on Saturdays. One woman who took her 10 yr old here for care was very impressed at how the whole appointment was handled, and the fact that on top of having two cavities taken care of, her daughter was shown some excellent tips on preventative care. Known as a practice that is very well balanced in the billing department, they are not out to squeeze the after hours patient for every little dime they have, and put dents in your pocketbook. One issue that patients think about when it comes to emergency dental services is how the testimonials on the web stack up. People who have needed to come to a clinic will always know just how well they perform when it gets serious, and this is one very excellent indicator of how an office ranks. Blessed Dental has been billed as “Wonderful, awesome, and a very caring staff” as well as “Very family oriented” and “So, so far above par”. Anything from sudden tooth pain, an extraction, root canal therapy, or wisdom teeth coming in precariously can be seen here by this excellent and very experienced staff. Description: Here at Advanced Care Dentistry and Dentures, you can get service on the 1st and 3rd Saturday of every month: From 8AM until 3PM, they are open for business, and able to help with dental problems ranging from abscessed teeth and broken crowns on up to other issues such as wisdom teeth coming in. Make sure that you have an appointment with the best if needed, and you’ll soon be pain-free and happy you came. This Pasadena clinic now has extended hours for patient convenience, as they understand how busy families are trying to make ends meet. The front office team will absolutely squeeze you in between previously scheduled appointments for a severe emergency, as they know what misery a potential abscess or other painful problem can cause. Extractions, root canal therapy, cracked and broken teeth, and braces that have come loose are just some of the other services you can have done here at Pasadena Family Dentistry Emergency Services. An appointment with a Pasadena emergency dentist is no different than your typical dental appointment. The main difference between an emergency dentist and regular dentist office is their ability to see patients in a quick and efficient manner for emergencies, as well as lengthy office hours, to accommodate these appointments. Preparing for your Pasadena emergency dentist appointment is similar to preparing for any new patient appointment. You will want to arrive at least 15 minutes before your appointment if you have a scheduled appointment. This will allow you some extra time to fill out any necessary paperwork so that when it’s your turn to be seen, your visit can transition smoothly. Having previous dental records available at your appointment can help your Pasadena emergency dentist understand more about your dental history. Don’t forget to have all insurance cards on hand, as well as a method of payment should the emergency dentist office not accept your form of insurance. Because the Pasadena, Texas emergency dentist of your choosing isn’t your normal dentist, you will want to make sure you inform the staff of any allergies to medications. If you suffer from anxiety as a result of a trip to the dentist office, be sure to inform them of this as well. Knowing these vital pieces of information ahead of time can make your appointment not only go smoother but allow you to feel more comfortable during any procedure. Because every dental emergency is unique, the information provided on Emergencydentistsusa.com should only be used for informative purposes and should not take the place of professional medical advice. A dental abscess can become life threatening if not handled properly. It is a severe infection in the mouth, which can be either near the root of your teeth or your gums. One of the first signs of a dental infection is severe pain that spreads to the surrounding teeth pretty quickly. When an abscess is not handled in a quick manner, the infection can spread to other areas of your body. 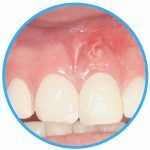 This is why when an abscess occurs, it’s important to seek dental treatment immediately. 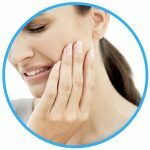 Common symptoms of an abscess usually include a low fever, pain, redness and swelling on the gums, swollen glands, an open sore inside of mouth, or a bitter taste. Treating an abscess at home isn’t really a suitable option. However, to ease discomfort until you are able to see a Pasadena emergency dentist, you can rinse your mouth out with a salt water solution and take an over the counter pain reliever. Even with the most diligent dental care, a crown can still end up becoming loose or lost. Sometimes it’s as simple as feeling your crown fall out while you are eating. When the crown is no longer in place, it cannot effectively protect your tooth. This means the tooth will become extremely sensitive to any temperature changes or pressure placed on it. If the tooth below the crown begins to decay, you may notice that your crown doesn’t fit as good or as snug as it used to. This is a good time to seek care at a Pasadena emergency dentist so that they can help ensure the crown has a tight fit before it falls off completely. Don’t worry though if your crown does fall off, try to place it lightly back onto the tooth. Do not under any circumstances force it into place, this can only further damage the crown and potentially your tooth. It’s important to seek treatment at a Pasadena emergency dentist immediately. If the crown is left off of your tooth for too long, your teeth can begin to shift their position in your mouth. Toothaches may begin more subtle with a throbbing in your gums, or as what you think is a simple headache. However, you may start to notice a soreness in your mouth with these other symptoms. When this happens, you have an emergency toothache and it’s time to be seen by a Pasadena emergency dentist immediately. Until you are able to get in with an emergency dentist, you can try using a solution of warm salt water to mix in your mouth. This can help to provide temporary comfort. Over the counter pain, relievers can also help to alleviate pain associated with a toothache. 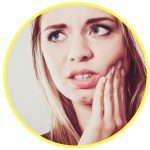 It’s important to note that when a toothache first starts, it may be an underlying symptom of a much larger cause such as a dental infection. This is why it is important to see your dentist immediately. Most dentists do everything they possibly can to save your teeth before they are extracted. Natural teeth are the better options when it comes to chewing, biting, and maintaining the overall bone structure of your face. However, sometimes an emergency tooth extraction may be necessary. When an emergency dentist in Pasadena recommends you have an emergency tooth extraction, it’s important to take them seriously. They will help to make you as comfortable as possible before the procedure begins. This can include things like walking you through all the parts of your tooth extraction step by step. Before you get an extraction, you will be given the option of an anesthetic to use to help ease discomfort. This can be general anesthesia or just a simple local numbing cream. It can take a few weeks until you begin to feel like yourself again after your tooth has been extracted. In fact the entire healing process and bone restructure process can take up to 6 months. Often times when a dental emergency is experienced, you rush to your nearest emergency room. This might not always be the best option when it comes to getting your dental condition treated properly. The reason that many people run to the emergency room is they do not know that there are other options such as a Pasadena emergency dentist that can help to handle treatment of a dental emergency after typical office hours. Dental emergencies such as an abscess are better handled by a dental professional who specializes in the treatment of the mouth and its anatomy. They are better equipped with the proper tools and treatment options versus your local emergency room. Emergency rooms are great for conditions such as a fractured bone from a fall or blunt trauma. In fact, you may be denied care for a dental emergency and referred to a local dentist for treatment. This would only prolong your pain and end up taking additional time away from getting your emergency handled in a timely manner. Checking first to find out what Pasadena emergency dentists are available is the best first step to finding the proper treatment. With our referral service you will be able to choose from a variety of dentists options to help ensure a qualified dentist is available at all times. When an emergency strikes, often times it can be hectic and scary. That is why you must be prepared ahead of time to know what to do when this occurs. Waiting until your typical dentist’s office opens the next day or on Monday isn’t really an option at all. Emergency dentists offer you the ability to schedule an appointment immediately or even walk-in when experiencing an emergency. Remember, because you will be seeing a new dentist, you should check with your local dental society to ensure they have all certification ahead of time. This will help to put your mind at ease in knowing the dentist is fully capable of handling your dental condition. Emergency Dentists USA is only a website for informative purposes. It should not take the place of professional advice from a dentist. When you happen to experience an emergency and are unable to get ahold of an emergency dentist, you should immediately contact 911. Who’s the top emergency dentist in Pearland, TX?